The view of the Brekkedal Valley from the rear terrace at the Stalheim Hotel. It’s one of the most spectacular fjord views in Norway. Norway is known for its spectacular landscapes. It has the longest coastline in Europe and is the continent’s third most mountainous country. Much of it is serrated by fjords, perforated with lakes and waterfalls, and blanketed in birch and conifer forests that offer endless opportunities for exploring nature. If you come to Norway and stick only to Oslo and Bergen, you’ve really missed out. Yeah, my sister and I look tough here, don’t we? 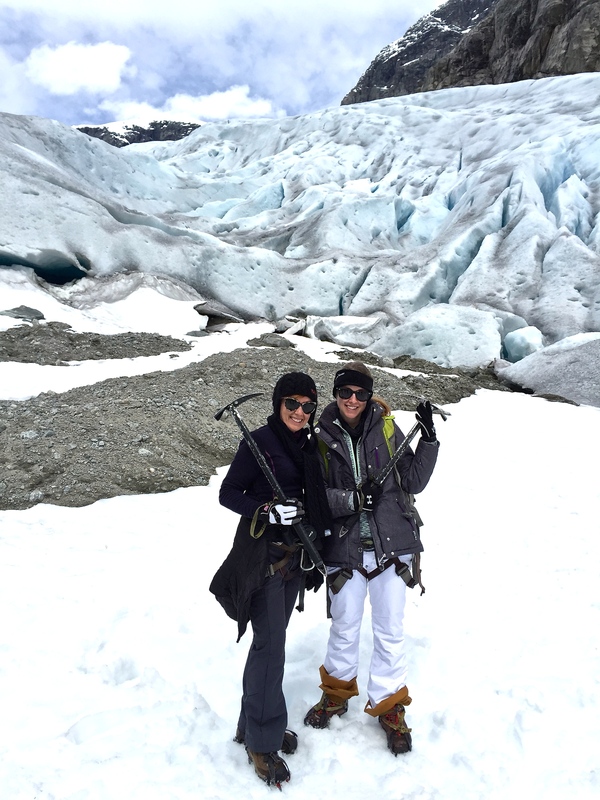 But it was our first glacier hike — totally worth the exhaustion and the extra drive time into inner Norway. Norwegians themselves are serious outdoor enthusiasts. They spend far more time hiking, skiing, sailing, and picnicking than your average European — and put Americans to shame when it comes to enjoying and preserving natural spaces. Norwegians are, quite rightly, proud of their environmental bonanza and happy to give you tips on where to go for the best views. So if you’re planning a visit, make like a local. Take a hike. And here are a few of our experiences, just to wet your appetite. If you’ve only got a little time and can’t get far from the city, try these local spots. Just an hour or two away from Oslo, you’ll find lots of incredible hikes, seaside towns, and Viking historic sites. 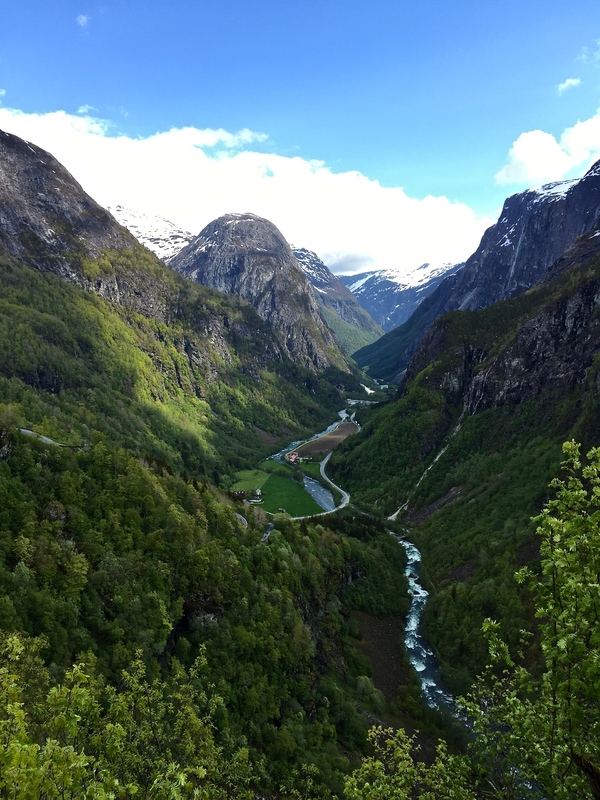 Considered Norway’s most beautiful fjord, it can be experienced via train, boat, car, or your own two legs, depending upon your inclinations and fitness level. A city that packs more fun inside the Arctic Circle than you’ve ever imagined possible.